278 people in our community are currently praying with you. He Himself is the fuel our spirits were designed to burn, or the food our spirits were designed to feed on. There is no other. How long will I have to take counsel in my own soul, having sorrow in my heart all the day? How long will my enemy be honored over me? Lest my enemy say, I have prevailed against him; Lest my adversaries rejoice at my tears. I have trusted in your loving kindness; My heart will rejoice in your salvation. I will sing unto Jehovah, Because he has regarded me with generosity. This is one of the most clearly "musical" psalms. It very much in the style of David, with two clearly divided phrases in each line, which are related in some way: the second might restate or amplify the first (as in line one), or might have a causal relationship (as in the last line). Psalm 13 is divided in two distinct parts. The first four lines bewail God's absence in the singer's life, and the terrible consequences. The final two lines rejoice in God's gifts and reaffirm the poet's devotion and thanks. Thus the feeling expressed is a movement from desperation to hope and thanks, something that many of us have experienced in our prayer. Who of us has not felt that God has hidden His face from him? We might even cast blame on God when things are going badly. It is a common temptation, when trouble lasts long, to think that it will last always. 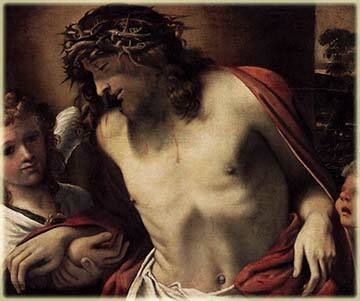 But God allows us to suffer no more than He himself, for Christ was beaten bloody and tortured to death. What will we ever suffer that is worse? Thereafter, God's most faithful children suffered likewise, and all of the apostles except John were beaten, stoned, imprisoned, murdered. They also lived lives of poverty; they were the equivalent of modern minimum wage earners. But we let life and society raise our expectations, and then we blame God when they are not met. And yet, this is the very time to strengthen our faith. "Those who have long been without joy," said Matthew Henry, "begin to be without hope." Yet, we know that life will deal us terrible blows; our faith not that we will avoid sorrow, but that we will overcome it. Life is a trial. It is a test of our resolved to find God and eternal life. Thus, says the Psalmist, I will trust in God and rejoice at my salvation, for it is faith that will sustain us through any ordeal we may face, if we only hold fast. Life itself is a gift from God, and nothing that is taken was not first given.